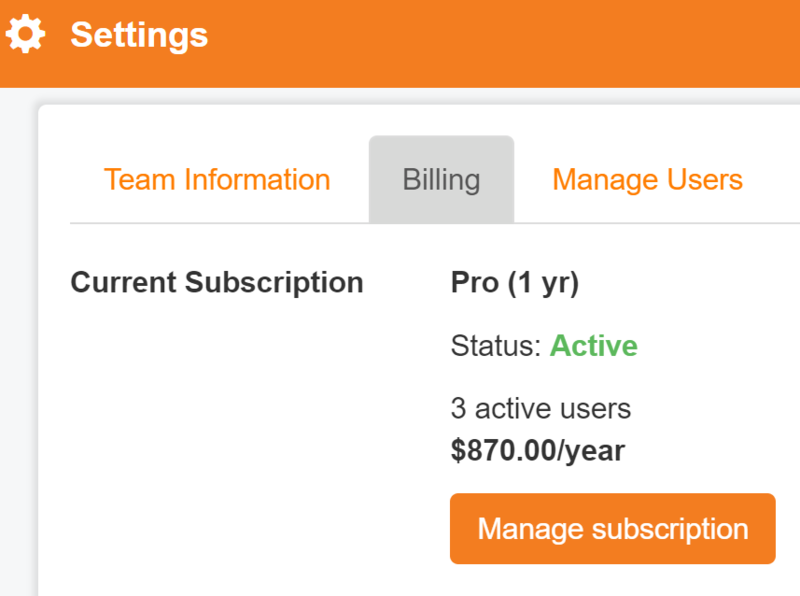 To manage your subscription, click on your username in the upper left corner, select Team Settings from the menu, and click on the tab for Billing. Here, if you have a Pro or Plus subscription, you’ll see the plan you’re currently subscribed to. This includes the number of users on your team and the total cost, including any add on storage charges, as well as any credits on your account. Below, you can see details for the different plans offered and switch to them. Click Manage Subscription to update your payment and address information or to cancel your subscription. For more information on Studio solutions (including teams of more than 20 users, custom deployments, and multi-team support) contact sales.